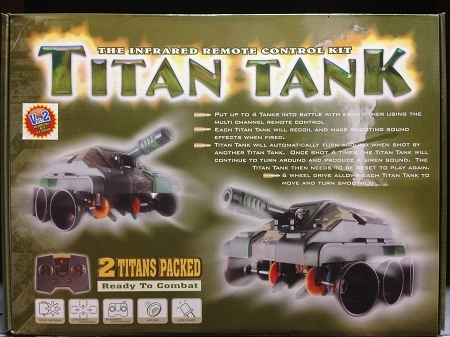 Double your fun - Two Titan Tanks - The Titan Tank is an infrared remote control kit. Its microprocessor provides different channels that allow up to four Titans to fight each other at the same time. 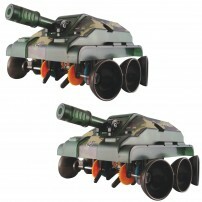 Makes action sounds when shooting and when it is hit. 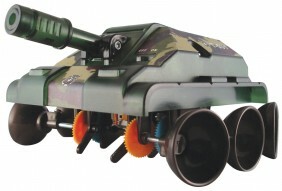 The Titan moves using six wheels that can move forward, backward, right and left. Requires (8) "AA" and (8) "AAA" batteries.